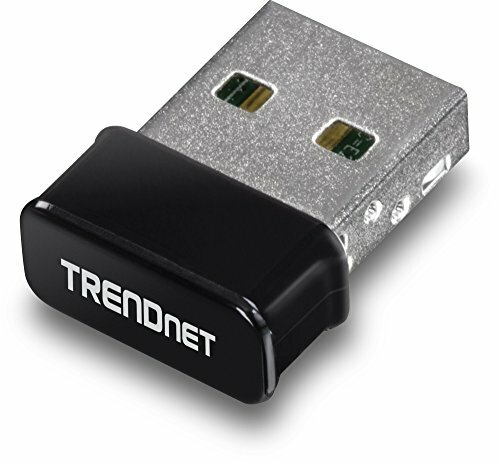 TRENDnet’s Micro N150 Wireless & Bluetooth USB Adapter, model TBW-108UB, simultaneously provides Bluetooth and WiFi connections, allowing you to concurrently connect to a WiFi network and Bluetooth devices. Conveniently download music, videos, and pictures from a wireless internet connection, and then transfer those same files seamlessly to your Bluetooth enabled phone. Enjoy wireless N performance in an ultra-compact design. Transfer files from your computer to and from your Bluetooth enabled phone, while simultaneously connecting to your Bluetooth headset. Ultra-compact design that extends less than three eighths of an inch (9mm) from the edge of a computer. Connect your computer to 150Mbps WiFi N network to browse online, download files, play games, and stream HD video.